* You'll also need a few extra rosemary sprigs for garnish. 1.) Peel off thick strips of zest from 1 lemon. Cut a couple slices of lemon and 1 slice of orange and set aside (for garnish). 3.) 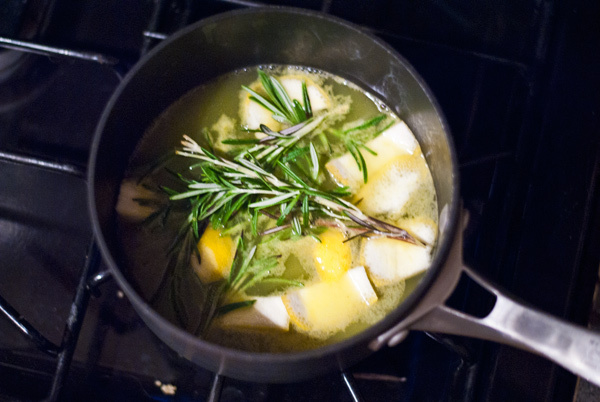 Combine zest pieces, juice, rosemary sprigs, sugar, and honey in a saucepan over medium heat (bring to a boil). 4.) Boil for 1 minute, stirring constantly to help dissolve sugars. 5.) Remove from heat and let sit for 10 mins. then strain, remove solids, and let the syrup cool completely (about 10minutes). 1.) Fill an 8-ounce glass halfway with ice cubes. 2.) Add 3 tablespoons of syrup, fill the rest of the glass with soda water. Add 4-5 mint leaves and stir. 3.) 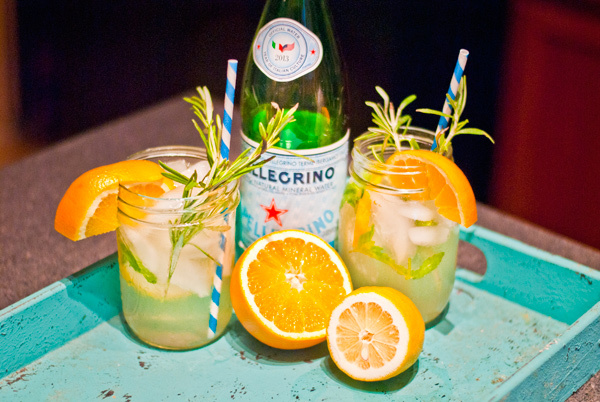 Drop a lemon slice and rosemary sprigs in each glass. Cut the orange slice in half and garnish each glass. 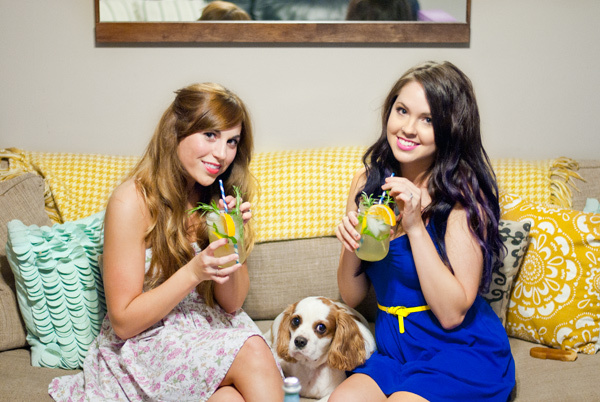 We made 2 drinks with this recipe, but there was enough syrup to make several more. You'll want to buy more fruit (for garnish), if you plan on making more. The syrup lasts about a week when refrigerated. And if you're feeling frisky: Add a splash of vodka or rum! please do go and check out amy's blog - it's simply sensational. I recently featured this post on my blog on my "these are a few of my favorite things" post! I linked back to you and everything, but yeah nice recipe! I loved your blog at http://www.blogionaire.com. I hope you get lots of visitors! That looks so good! 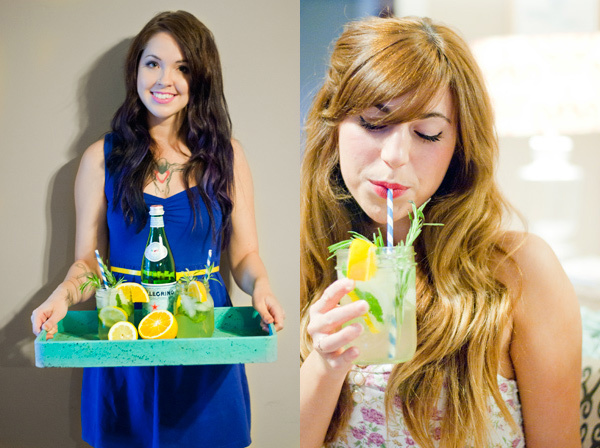 I generally just stick to water, but this summer I've been all about yummy fruity drinks. I'll have to try this out!